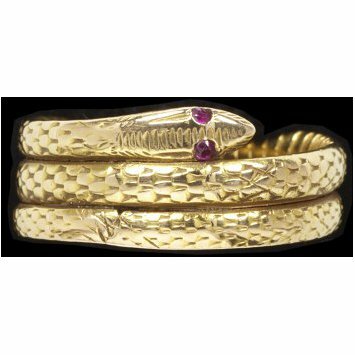 Snakes have been used in jewellery since the ancient Egyptians. They were associated with healing deities such as Isis in Egypt or the Greek God of medicine, Asclepius. They symbolised regeneration, healing and rebirth and therefore were used as a symbol of eternity. This association with regeneration and eternity led to their use on both love and mourning jewellery in the eighteenth and nineteenth centuries. Queen Victoria's engagement ring was a snake with emerald eyes. This ring is said to have been owned by George IV (1762-1830). He may be wearing it in a portrait by Sir Thomas Lawrence in the Wallace Collection (559). 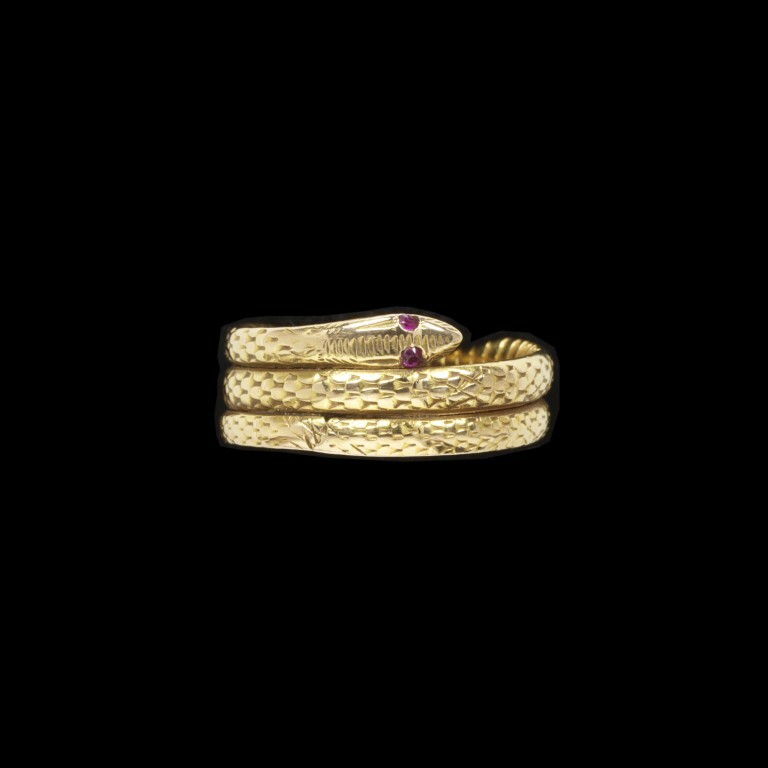 Gold ring with a single serpent with three coils, the eyes set with rubies, England, early 1800-30.